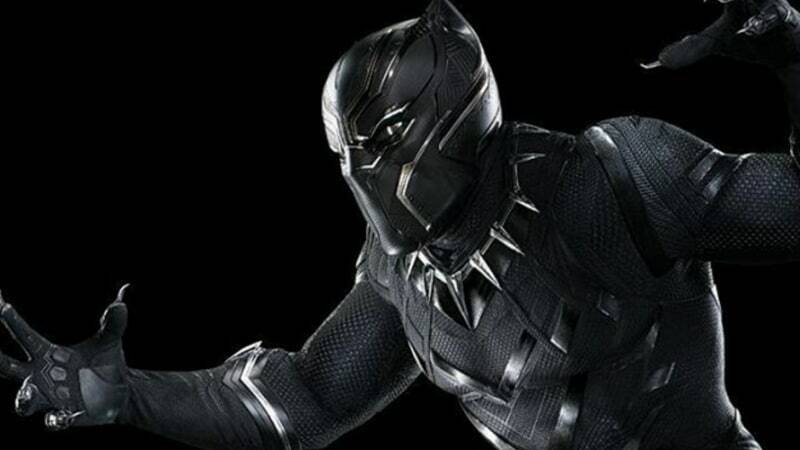 Lil Yachty, Offset and Travis Scott have joined in on the movement to help ensure that the youth experiences Black Panther in theaters now that the Marvel epic has finally arrived. Most recently, Travis Scott got involved in the viral #BlackPantherChallenge, which encourages donations so that underprivileged children can witness the film on the big screen, buying out two screenings in his home state of Texas this weekend. According to the rapper himself, he enjoyed the film so much, he wanted to pay it forward. Additionally, Lil Yachty and Offset also were feeling both charitable and inspired by the film, surprising young fans at a fully-funded screening for 500 foster kids and at-risk children in California, which was organized by This Is Us writer Jas Waters. Per TMZ, Lil Yachty and Offset stopped by the screening at Hollywood's El Capitan Theatre, as well as bought out the remaining seats for more to join in on the fun. As previously reported, TDE, who was involved in exclusively curating the soundtrack, purchased three theaters worth of screenings so that nearly 1,000 children from the Watts area housing projects in Los Angeles could see the film free of charge, with others, such as Serena Williams, also hosting paid-in-full screenings as well. The #BlackPantherChallenge is now in full effect, with the viral GoFundMe campaign still accepting donations.